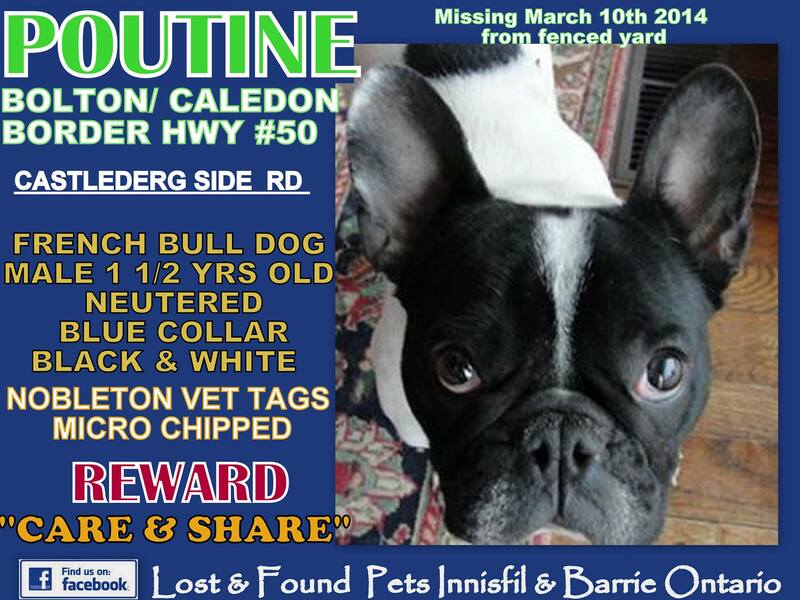 Another lost or stolen French Bulldog has been reported, this one in the Guelph Ontario area. Mikey is a neutered pied (black and white, to the average person) French Bulldog. He went missing on March 15th, from the area of Kingsmill Avenue & Eramosa River in Guelph Ontario. He was wearing a blue harness – there is no word on whether or not he is microchipped. His owner believes he may have crossed over the river to play with other people or dogs. There is a reward for his return.